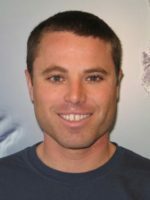 Dr Jeff Hansen is a Senior Lecturer in the School of Earth Sciences and Oceans Institute at UWA. His research focuses on surface wave dynamics, nearshore processes, coastal evolution, and marine renewable energy. Jeff is an Associate Researcher in the OFFshore ITRH data analytics for condition/ longevity monitoring project stream.